Benning Violins is a family-owned and -operated violin shop that recently celebrated our 65th year in business. We are proud to have an energetic, knowledgeable and insightful staff to contribute to the success of our business by offering customers the one-of-a-kind level of personal and expert service that lies at the very heart of what we do. Paul Toenniges was born in De Kalb, Illinois in 1908. Paul began his studies of instrument making under the promptings of renown violinmaker Carl Becker Sr., his brother-in-law. Toenniges worked alongside some of the greatest names in American violinmakers and restorers while working at William Lewis & Son in Chicago from 1926 to 1940. While there, Paul established himself as an excellent repairman and fine bass maker. 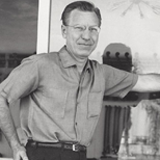 He moved to Los Angeles in 1945, where he worked at the Rudolf Wurlitzer branch from 1946 to 1950. Finally, in 1950, Paul opened his own shop, which he named Studio City Music. Paul ran a simple family-owned and operated business along with his wife, Ruth, and two daughters, Nancy and Jane. Paul's influence and passion for the craft of violinmaking is deeply felt today. "I’ve never understood those who shy away from playing new instruments. Stradivari made new instruments." Hans Benning was born in Aachen, Germany. He entered the Violinmaking School in Mittenwald, Germany, in 1962, the same year as his soon-to-be wife, Nancy Benning. Arriving in the United States in 1964, he worked in the Studio City Music Shop with his new father-in-law, Paul Toenniges. There Hans Benning learned the fine art of repair and restoration under Paul Toenniges, Raymond Del Prato, and Frank Kovanda. Hans also studied for a time with Carl Becker, Sr. In 1978 Hans and Nancy Benning took over the Studio City Music store along with Nancy’s sister, Jane Fink, and they began specializing in only violins, violas, cellos and viola da gambas. Benning Violins was born out of that transition from a more general music store to the specialized violin shop that exists today. 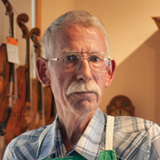 Hans has made many fine violins, violas and cellos, which are enjoyed by both professionals and amateurs alike. He has also made a number of viola da gambas which are still being played today by those who are involved in baroque and renaissance music. Hans was secretary of the International Violinmakers Association (EILA), of which he is now a senior member. He is also a member of the German Violinmakers Association (VDG), the American Federation of Violin and Bowmakers (AFVBM), and the Violin Society of America (VSA). Hans was privileged to be able to care for and service the violins and bows for Jascha Heifitz. Today he specializes in fine repairs, bow rehairs, and appraisals. "I’m grateful to our very faithful and loyal customers, many of them second and third generation customers. We see them as part of our big family." Nancy Benning was born in Chicago, IL. Her father, Paul Toenniges, brother-in-law to renowned Chicago violinmaker Carl Becker Sr., brought the family to Los Angeles in the early 1940s and started working with the Wurlitzer firm, after which he worked for several years in a workshop above his garage, and then in 1953 Paul and his wife, Ruth, opened up their own music store called Studio City Music. 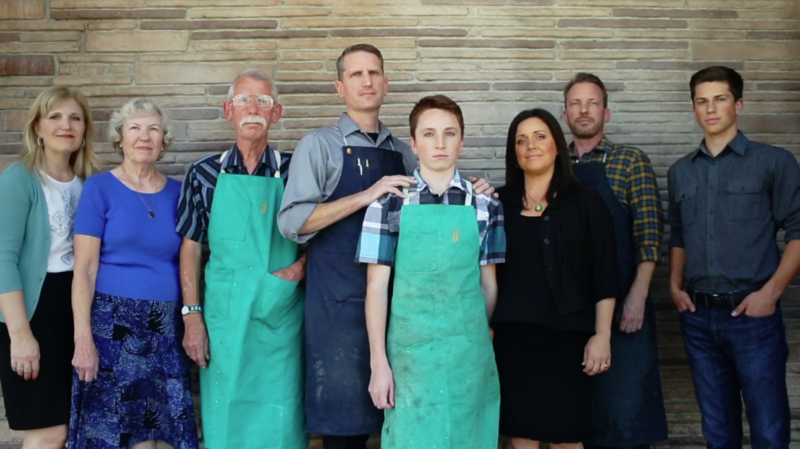 Nancy began working there in the workshop with her father at age 11, learning the art of fine restoration and repair. At the age of 22 she entered the Violinmaking School in Mittenwald, Germany and there met her husband, Hans Benning. They returned to the United States in 1964 and began working together at Studio City Music with Nancy’s parents. In 1978, Nancy and Hans Benning took over the business along with Nancy’s sister, Jane Fink, and the transition from a general music store to a shop that specializes in fine violins, violas, cellos and gambas, was born. 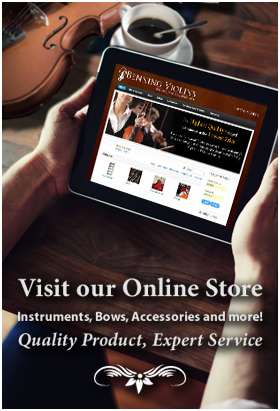 Benning Violins is the evolution of the business into the prestigious and renown firm that it is today. Today Nancy is involved mostly with the business end of the shop, but she still maintains a workshop at her home where she is involved in the making of son Eric Benning’s master crafted instruments. 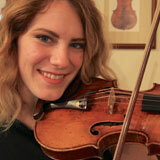 She enjoys playing the violin and especially enjoys playing chamber music with friends. For the past 19 years, she has been traveling to Mexico where she teaches once a month in an orphanage and now teaches bi-monthly at Benning Academia in Ensenada, Mexico, a music school named after - and in honor of - Nancy and Hans. Nancy considers it a great privilege and blessing to be working for 66 years with a wonderful family and fantastic clientele, some of whom are second and third generation customers and friends. "After more than 30 years of making instruments, I feel like I’m just finding my stride. I plan to do this well into my life. I wouldn't know what to do with myself if I stopped!" Eric Benning began making his first violin under the direction of his violinmaking parents, Hans and Nancy Benning, at the age of 9. 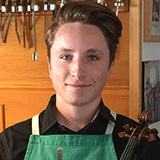 Working only Saturdays and vacation days, Eric completed the violin at age 11. This was the beginning of a passionate desire to craft instruments and to follow in the proud tradition of his family. In 1997 Eric began training with renowned violinmaker Carl F. Becker Jr., son of Carl Becker Sr., the celebrated Chicago maker who passed on his tradition of master violinmaking to Paul Toenniges, Eric's grandfather and founder of Studio City Music, and to Hans and Nancy Benning. Eric spent time in Mittenwald, Germany learning the craft of elaborate scroll making, a skill and talent for which he's been widely recognized. Eric has specialized in the making of fine violins, violas and cellos based on the great Italian masterworks, and even a few viola d'amores - crafting over 120 instruments to date - while perfecting the old-world style and working traditions that mark his current work. He has been honored to accept special commissions, including bench copies of the Peregrino de Zanetto viola and a Giovanni Francesco Pressenda violin owned by the LA Philharmonic. Aside with studying with his family, Eric continues to pursue his understanding of acoustics through various means including summer workshops in Oberlin, Ohio. Eric is recognized world-wide as an expert in evaluation, setup and acoustical adjustments of fine instruments that enable them to sing with their unique and distinctive voice. 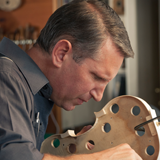 Eric is a member of the American federation of Violin and Bow Makers and also the EILA. He has been published in periodicals and newspapers such as The Strad and Strings magazines. He resides in the San Fernando Valley along with his wife and 4 sons. "What’s special about being a part of a family-run business is being able to offer the level of personal service that only comes from long, personal relationships with customers." Laura Phillips, the friendly face of Benning Violins as Client Service Manager, did most of her growing up at Studio City Music where her mother, Jane Fink, began bringing her to work as a young child. Laura began working at the shop full-time at the age of 17 handling sales, rentals, inventory and everything in between. 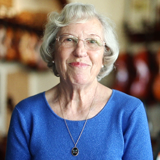 Over the years, Laura has become an expert in her own right on instruments and accessories, offering her expertise in the warm and friendly manner that has made her a valued and beloved fixture at Benning Violins with generations of old and new clients. Laura and her husband Chuck have four beautiful daughters, Ashley, Nicole, Danielle and Paige, who have had the privilege of being raised “at the shop”. "One of the wonderful aspects of a family run business is the ability to include your children and hopefully entice them into continuing the legacy," says Laura. "I certainly benefitted from that tradition and now my own daughters are sharing in the same experience." Although Laura is not a professional musician, she does enjoy singing in her church choir as well as playing violin and guitar as a hobby. If you have any questions regarding instruments, accessories or rentals, or setting up an appointment for appraisals or adjustments, please contact Laura and she will be happy to assist you. "The beautiful part of this business is that nothing has changed in 400 years. We still make instruments the same way — same technique, same tools, same materials." 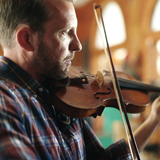 Brian Benning is Benning Violins' resident musical artist and professional violinist. He is also an accomplished teacher, pianist and singer. Beginning his musical studies at age 3 on the violin with Nancy Benning, Brian's talent was evident early. After nearly ten years, Benning became a student of teacher Teresa DiTullio and transitioned into a professional career by his early twenties. Brian spent the next 20 years in private study with renown teachers Robert Lipsett, Manuel Compinsky, Linda Rose, Mike Ferril and Endre Granat. During this time, Brian began putting hours in at the shop (then known as Studio City Music) and has worked off and on at Benning Violins, taking the occasional hiatus when his professional career and outside interests necessitated it. At age 20, Brian found the time and passion to hand craft four fine violins of his own, under the tutelage of brother Eric and father Hans, one of which he performs on today. Brian is a seasoned session player and freelancer as part of the diverse Los Angeles music scene. His curriculum vitae reads like a virtual whose who of the entertainment business. Brian has performed with Clay Aikin, Josh Groban, Susan Boyle and Demi Lovato. He has recorded with Barry Manilow, Justin Timberlake, Bette Midler, Neil Diamond, Prince, Ray Charles, Diana Krall, Toni Braxton, Beyonce and Norah Jones just to name a few. Brian has also appeared on stage with Angelica Houston and Sir Ben Kingsley and served as piano coach to Jack Nicholson in the 1996 blockbuster As Good as it Gets. Brian can be heard on countless prominent movie and television soundtracks and has performed as a violinist with the Santa Barbara Chamber Orchestra, the Long Beach Symphony, the Civic Light Opera Orchestra, the Pasadena Symphony and the American Youth Symphony and as a vocalist with the Los Angeles Master Choral. Today, Brian can be found at the shop maintaining the high-end violins, cutting bridges, prepping student outfits and, most notably, demonstrating violins to the delight of Benning customers. "I've never felt pressure to become a violinmaker. Now, being as good of a maker as my dad and grandfather are - and they’re really good - I do feel some pressure to rise to their level." Born and raised in the Benning family workshop, fourth generation luthier Nathan Benning completed crafting his first violin at the age of 13. The son of preeminent violinmaker Eric Benning, the grandson of noted luthiers Hans and Nancy Benning, and the great-grandson of Paul Toenniges, a renowned bass craftsman, Nathan cultivated an early interest in violinmaking, beginning with whittling on pieces of scrap wood. Nathan is apprenticing under Eric and Hans Benning, assisting his father with new instrument making. He also helps his grandfather with repair work and bow re-hairs. Nathan has already proven to be a talented craftsman and imagines himself to one day become renowned as a fine instrument restorationist. He has studied violin restoration with Hans Nebel, and bow rehair and repair with Lynn Hannings and Ole Kanestrom respectively. Nathan enjoys wake boarding and playing soccer in his spare time. Aside from his work as a luthier, Nathan has spent over a decade diligently studying violin performance, while playing on his own hand-crafted instrument. Following in the proud tradition of her mother, her grandmother, Jane Fink, and her great-grandmother Ruth Toenniges, Paige Phillips provides a high level of personal service to customers of Benning Violins. The youngest daughter of long-time Client Service Manager Laura Phillips, Paige brings an abundance of expertise, confidence and kindness to the musicians she serves in the shop. Paige began her violin studies at age 8, regularly performing in both her school and church orchestras. She recently began lessons with her uncle Brian Benning, Benning Violins’ Artist in Residence. She also enjoys playing guitar and painting for personal enjoyment. 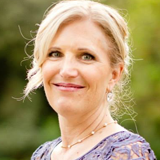 Paige possesses a passion for photography, transforming her simple hobby into offering her professional services at graduations, engagements and promotional events. Paige is currently studying Business Administration and Entrepreneurial Studies at Grand Canyon University in Phoenix, Arizona. During her summers and vacations she finds her way back to “The Shop” to work alongside her family. Like her family, missions and her faith are also passions for Paige. She has embarked on multiple excursions to Mexico, Fiji and Kenya, to work with impoverished children and indigent communities. Jane Fink, second daughter to Paul and Ruth Toenniges and younger sister to Nancy Benning, began a lifelong career at the age of ten at what was then known as Studio City Music. Jane was the warm and friendly smile and compassionate personality that expertly assisted generations of instrumentalists that came through the doors. Following in her father’s footsteps, Jane played the string bass and was gifted with many other musical talents including piano, guitar and voice. She played and sang professionally, performing across the United States as well as Internationally. 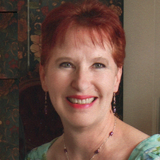 Jane Fink retired from Benning Violins in 1995 and began volunteering for the Burbank Symphony, Pacific Serenades and as Coordinator for Musical Performance at the Brand Library in Glendale, California. She enjoyed creating stained and fused glass works, gifting them to her extensive circle of friends. Jane Fink passed away in 2007 after a long battle with cancer leaving her own daughter, Laura Phillips, to continue her singularly unique talents for assisting the new generations of Benning clients with love and care. In a life marked by achievement and success, Jane’s most notable accomplishment was a life lived unselfishly loving and giving to those around her. Because of this, Jane Fink was much admired, respected and is greatly missed. Her influence in the evolution of Benning Violins is deeply felt today.